Over a year ago, I introduced MakeUseOf readers to Textfree Send Text Messages From Your iPhone/iTouch or Desktop With Textfree Send Text Messages From Your iPhone/iTouch or Desktop With Textfree One of my biggest pet peeves is having to constantly check through text messages while I'm on my desktop or laptop at my desk. I've always thought it was be so much easier to have... Read More . Since then, a lot has changed. I still use Textfree to this very day, and the entire application has been rebranded as Pinger. If you didn’t get to read my article or don’t know what Pinger or Textfree can do for you, it’s a great way to send and receive free texts in the US, Canada, and 33 additional countries. While there are a lot of Android and iOS apps that can do this for me, Textfree really stole me when I heard that they had a desktop interface. Texting from my desktop or laptop rather than holding my phone at my desk? You can count me in. 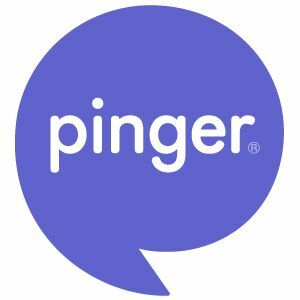 Just recently, I noticed that Pinger had launched a brand new product called Pinger Desktop. I had originally thought this was just a renamed version of Textfree Web, which is an interface available to users by the browser, but it’s a completely standalone application. What Pinger has managed to do is take texting and bring it to an instant messaging format, and I really love that. The Pinger Desktop app is advertised as compatible with OS X 10.6, 10.7 or 10.8 and Windows 7. I’m running Windows 8 Pro and it has run perfectly for me. You’re able to log in using either your Pinger/Textfree number or username. Once logged in, you can see that the interface is really clean and includes everything you’d want or expect after using either the iOS or Android version. The only gripe I have about the interface is the fact that it cannot be resized. As you can see, I’ve got quite a bit of whitespace at the bottom-half of the application and that can’t be pulled up. It does take up a good bit of screen real estate. The blurred areas are personal texts. though I’ve left one visible so that you can see how the application functions. On the main screen, you’re shown all recent conversations and a small snippet of the last sent message from each. Clicking on a message will expand that conversation. Once again, the interface is a little on the bulky side. From here, Pinger Desktop is no different from Skype or AIM. You can see that there is a skyscraper banner to the right of the text field, and that could be considered another con of the application. However, Pinger Desktop is completely free and I don’t mind it at all. These guys have to make money one way or another and, as I do believe this is one of the only applications of its kind, it’s worth it to endure the ads. The options are pretty limited in Pinger Desktop, but there aren’t many that I can imagine should be available for an application like this. The only real additional feature here is one that allows you to set a text signature. Please, if you respect texting etiquette at all, don’t do that. Save it for your emails. Pinger Desktop will completely synchronize with the web interface and the iOS or Android app. It’s really great that they offer so many different ways to use their product. I’ve been waiting for them to drop a desktop application for a long time now and I can say that I am very impressed and pleased with it. Pinger Desktop docks right to your system tray and you get notifications immediately when a new text comes in. It’s just better and faster than the web interface, if you ask me. However, don’t think that Textfree Web is completely useless. 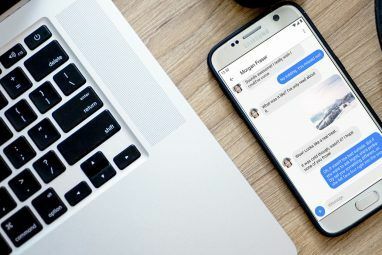 Pinger Desktop is a great solution at home, but Textfree Web may still be the best way to send texts by your computer when you’re at work or elsewhere. You can’t always install standalone applications everywhere you go. Knowing when to use each flavor of Pinger/Textfree is just as important as knowing how. In previous screenshots, you can see that I use Pinger for my ifttt alerts. 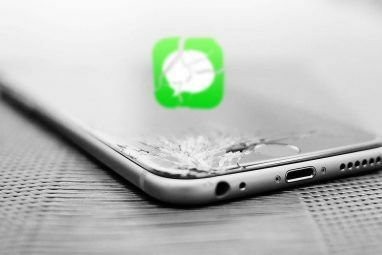 Pinger Desktop is great for other purposes, such as unlocking your Dropbox 8 Of The Best Mobile Apps For Your Dropbox [Android / iOS] 8 Of The Best Mobile Apps For Your Dropbox [Android / iOS] We've really only just reached the point were lots of apps are being written with integration to cloud storage in mind. 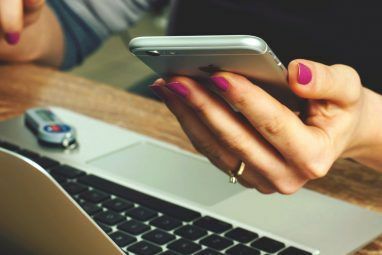 Because of this, you may not have realised that quite a few very useful... Read More by security code, activating your Google two-step authentication, or verifying accounts from services like Craigslist. Obviously these can all just as easily be done by the Pinger mobile app, but it feels so much more natural and faster when using the desktop application. If you’re at a desk and you regularly text people throughout the day, this application will simply save you time. Pinger did something that I’ve been begging Kik to do for so long, and that was to completely open up their app to desktop users. Registering a Pinger number is completely free and I’m pleased with calling it the best third-party texting app because of how well-rounded it is. What do you think of the new Pinger desktop app? Let me know in the comments! Pinger Desktop is a great program for Windows, and I still use it on my desktop/laptop. However, recently I purchased a Chromebook and was using Pingers' TextFree in the browser. With the last update to Chromebook OS, the Pinger client will no longer connect to their servers. It gives a repeated error message that the servers are busy, try again. I reported it to Pinger and Google but as expected, nothing has been done to correct the situation. What a shame as I used it often. I come from a generation where growing up we had rotary telephones and our phone number started with EL3-4567. A cell phone was something you saw on Star Trek or the Jetsons. When cell phones became affordable all I saw in them was a way for the wife to check up on me, a leash as it were. I do have a Trac-Phone in my truck for emergencies, as I live in the middle of nowhere and it snows a lot. I have been using a Magic Jack for 5+ years and have used Yahoo Messenger for SMS texting. This program compliments my Magic Jack nicely.It also has the capability to send and receive pics, although some cell services block that service. Also, you can call the Pinger number and leave a voicemail. I have only used this application for about 6 hours and I am very pleased. As with most free software it has a banner add. This is a small price to pay, and it does not seem to take up very much resources. The web based version slowed up my system so I used Yahoo Messenger for texting. I give this product a thumbs up. When they do add free calling to and from any phone this product will be great. Easier to just pick up my phone. Does this really work...? I´m in Portugal and for me it doesn´t... nothing happens. What countries support Pinger Desktop texts to phones. I've checked the Pinger web site and blog and can find no list of countries supported. It won't interest myself but I can see it as a useful application for many others.